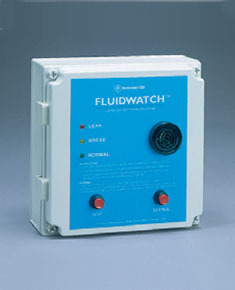 PermAlert - HAROLD WELLS ASSOCIATES, INC.
FluidWatch is a system designed to monitor small areas for water or waterbased chemicals on floors and around sensitive equipment. Typical applications are for sub-floors and around boilers and pumps. The system comes complete with an alarm panel, leader cable and sensing cable in 50, 75 or 100 foot lengths. The system is easy to use with a one button operation and 2-250vac, 10A, SPDT relays. This system is not for hydrocarbons. 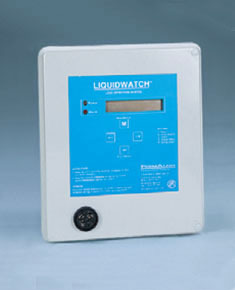 LiquidWatch has been engineered to meet a broad range of customer leak monitoring needs. This UL, Class 1, Division 1, Groups C & D (Optional) system can be configured with up to 64 probes and 16-alarm relays. The modular design allows for meeting current needs while allowing for future expansion. The system has a 2-line 20-character display that provides instant system information. Probes can be programmed on a leak alarm to operate 1 of 16 optional relays for remote alarm indication or operation of a shut down procedure. Typical applications are double wall storage tanks, single wall storage tanks, sump pits, low points leak detection ports and groundwater monitoring wells. The system is easy to use with one key pad operation. PAL-AT is a state of the art microprocessor based leak detection cable system that accurately locates multiple leaks on a single sensing cable and alarms on contact. 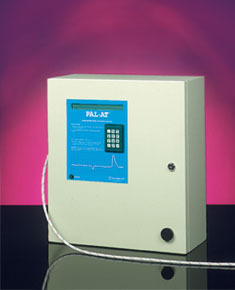 The PAL-AT can be furnished for secondary contained pipe systems, heat distribution systems, computer room sub-floors, clean rooms, phone switching stations or anywhere quick and precise leak detection is required. As an option we can provide remote monitoring of the system using our PALCOM software package. There are four types of sensing cable and eight different probe options.